Evidence based social work based on positive parenting and a nurturing safe environment for children. At Kennerley, our model of care provides a safe, child-friendly nurturing environment where children, young people, their carers and their families have every opportunity to reach their individual potential. Our model of care is driven by evidence-based contemporary social work practice informed by respected experts in the areas of child development, attachment, child trauma and resilience that aims to enhance every child and young person’s opportunities to thrive. Our work with families reflects a Signs of Safety Framework, and the work of Dan Hughes, Eileen Munroe and Bruce Perry. The Signs of Safety Practice Principles. Guiding our work with families is a Signs of Safety Framework developed by Andrew Turnell and Associates. 12. Treat the practice principles as an aspirations not assumptions. The needs of children are front and centre in all our thinking. 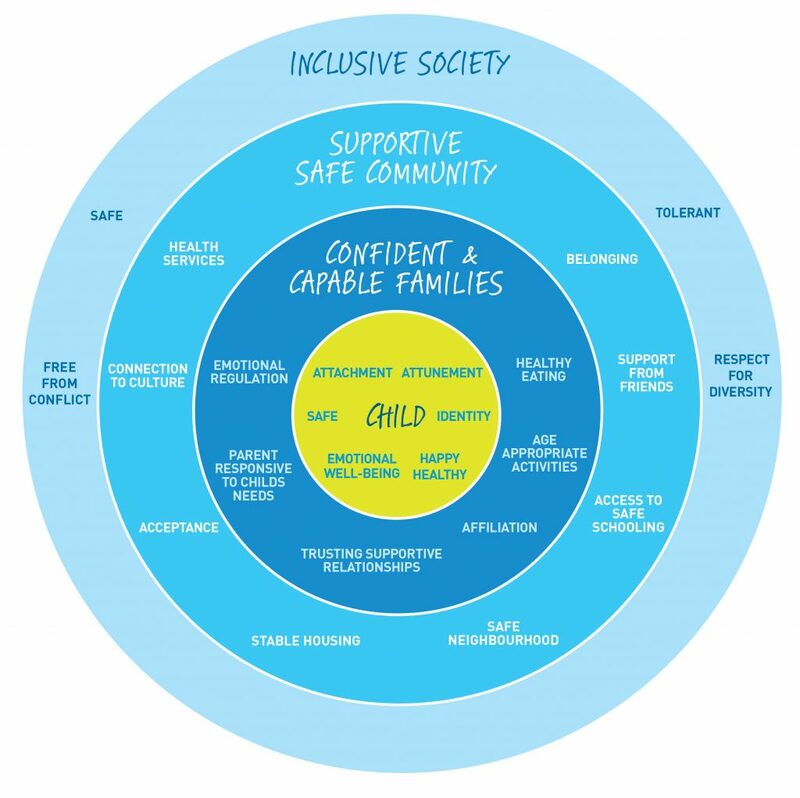 This diagram shows the inter-relationship of certain factors that should be in place for a child to feel safe, to not be disadvantaged, and to go on and reach their full potential.